Visit Our Battery Center for More Details! Is your car or truck due for a new battery? Maybe your watch has stopped ticking, or your cell phone only stays powered for half the amount of time it used to. If you’re searching for a battery center in Hamburg, NY, then head on down to Interstate Battery on 113 Evans Street in Hamburg, NY. We are the number one battery superstore in all of Buffalo, NY; Kenmore, NY; Orchard Park, NY; Boston, NY; Eden, NY; Blasdell, NY, and the surrounding areas. Interstate Battery is the company to trust with all of your battery needs. From electronic batteries to commercial batteries to power tool batteries, we truly have it all. Are you looking for batteries for your car, truck, or SUV? You’ll be pleased to know that Interstate Battery is the #1 automotive replacement battery brand in North America. We surpassed Sears a long time ago to gain this title that we still proudly hold today. We sell an average of 15 million batteries a year and are here to serve you. Interstate Battery continues to grow as the integrity of our business programs proves timeless. Now you can visit Interstate Battery, which serves West Seneca, NY; Boston, NY; Eden, NY; Blasdell, NY; and Buffalo, NY. Stop by our Hamburg, NY store for batteries for cell phones, cordless phones, watches, tools, laptops, cameras, camcorders, toys, remotes and more. While Interstate Battery has evolved in many ways since we were founded in 1952, the most important contribution to our success comes down to good, old-fashioned business principles. As Interstate Battery faces the future, we’ll stay true to those principles and continue to uphold our reputation to our customers. Call 716-646-5646 to find out more about our products, or feel free to visit our battery superstore in Hamburg, NY. Interstate Battery has recently expanded to provide support for the major industrial markets of critical and motive power with PowerCare. These services include engineering, installation, testing, PM programs and supply for the forklift, UPS, telecommunications, cable and switchgear applications. We also supply safety equipment and help clients residing in the East Aurora, NY area to evaluate and meet UPC, OSHA, COT and EPA regulations. What do you do with your old batteries? If you’re like many Americans, you toss them in the garbage along with the rest of your trash. However, this is actually a very irresponsible way to dispose of batteries. It not only adds to the enormous amount of waste in our landfills, it also contributes to electronic waste pollution, which contaminates our environment with toxic materials such as mercury, arsenic, and lead. 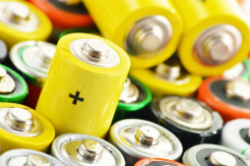 Do your part and be sure to recycle all of your old batteries at Interstate Battery battery center! 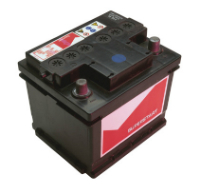 We collect all your used batteries, from car batteries and single-use batteries to cell phone batteries and more. Just bring them to our battery recycling center and we’ll do the sorting for you. It’s that easy! We help residents and business owners throughout Buffalo, NY; Kenmore, NY; Orchard Park, NY; West Seneca, NY; East Aurora, NY; and the surrounding areas be green and environmentally conscious. 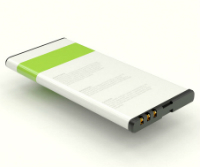 Are you not sure what type of battery would best serve your needs? Not a problem. Our staff of friendly and knowledgeable technicians knows everything there is to know about batteries and their capabilities. They will gladly point you in the right direction and answer any questions you may have. We’ve had one goal since 1952, and we hope to continue to reach that goal far into the future: #1 in Batteries. Visit us today or call 716-646-5646 to find out more about our products. We look forward to serving you! Top-Quality Batteries, Battery Replacements, Over 16,000 Different Kinds of Batteries, Professional Battery Services, Battery Recycling Programs, Largest Battery Distribution Network in North America.